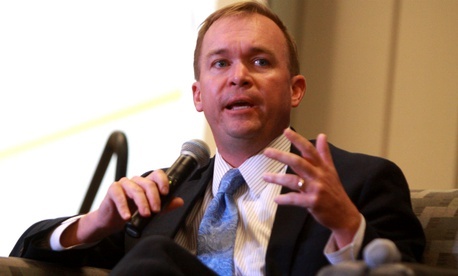 Mick Mulvaney, the White House budget director now doubling as acting head of the Consumer Financial Protection Bureau, published an essay announcing “a new mission” for the controversial agency: it will stick to statutory authority, cost-benefit analysis and inclusion of credit “providers” as well as credit users. The assumption under the bureau’s first and only confirmed director was that “we were the good guys and the financial-service industry was the bad guys,” Mulvaney said. “That entire governing philosophy of pushing the envelope frightens me a little." Based on percentages of complaints the bureau receives, management will focus more on debt collection and less on the risks to consumers of prepaid credit cards and payday lending, he said. Mulvaney’s agenda continues to be attacked by progressive and consumer groups. Earlier this week, as noted by news sites Pro Publica and International Business Times, Mulvaney dropped a court case against a payday lender that had contributed to his congressional campaign. This story has been updated to reflect a challenge to the accuracy of Mulvaney's attribution of a quotation to Cordray.